Our tough plastic snow shovel is ideal for clearing paths and drives. 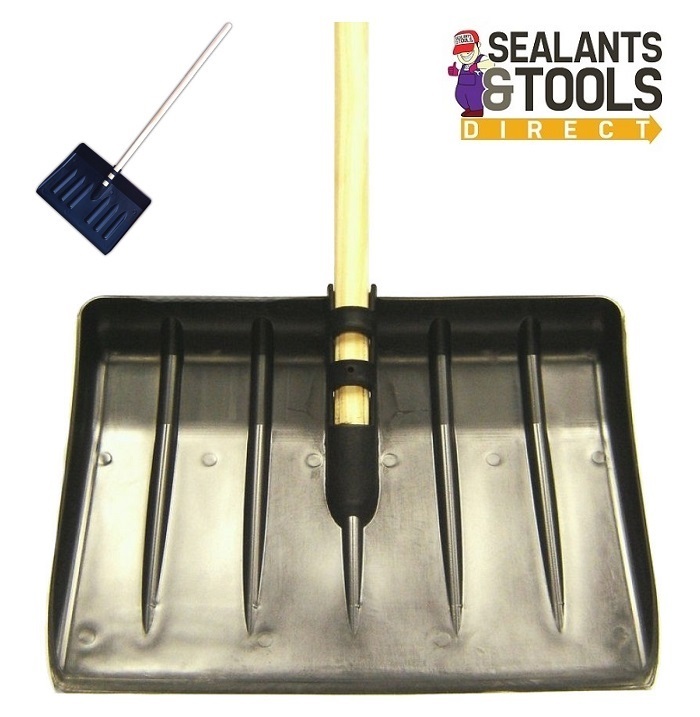 Unlike many other snow shovels, our plastic snow shovel does not have a metal leading edge, this means it is more suitable for clearing delicate surfaces such as frozen artificial turf and slabs that could be marked buy a metal shovel. The strait handle is far better than a D handle as the user is less likely to hirt their rists or hands with sudden stops on drain lids or kerbs. Long handle for easy work the snow shovel stands 1.4 m tall and a strong 28mm Handle.